Based on my own personal experience of being a rather blister-prone runner, here’s my top tips on how to stop getting blisters from running. Some of us just have to face the fact that while some people are blessed with lovely feet that seem immune to blisters, the rest of us will get blisters from running from time-to-time, for a variety of reasons. Here’s what I have learned about how to stop getting blisters when trail running – or at least minimise the risk of their occurrence. Once you have a good idea why you’re getting them (or what is most likely to be causing them) then that will help narrow down the best way of to stop getting blisters from running. There’s no point just taking generic advice about your shoe fit, and changing your shoes to try and prevent getting blisters, if it’s actually something else causing them – such as your socks, or the way you are running (your gait or running form). Let’s cover off the shoe-fit points first: do your feet move around in your shoes when you run eg side to side, or front to back? Any friction or ‘shearing’ forces will, after thousands of footsteps, is likely to cause a blister, as the layers of your feet’s skin are affected by this movement. You could try a smaller pair of shoes – either the same size in a different style or brand (which may come up smaller), or go half a size down. Equally, you may want to try wearing thicker running socks, if you’re currently running in very thin socks this may be all you need to stop getting blisters. Are your shoes too tight? Do they rub or pinch? Are you wearing the right socks? Don’t wear cotton socks to run in! Also I’ve found that I need to wear very soft and relatively seam-free running-specific socks (ie not general fitness / exercise socks) to avoid my delicate feet feeling hot spots or developing blisters. 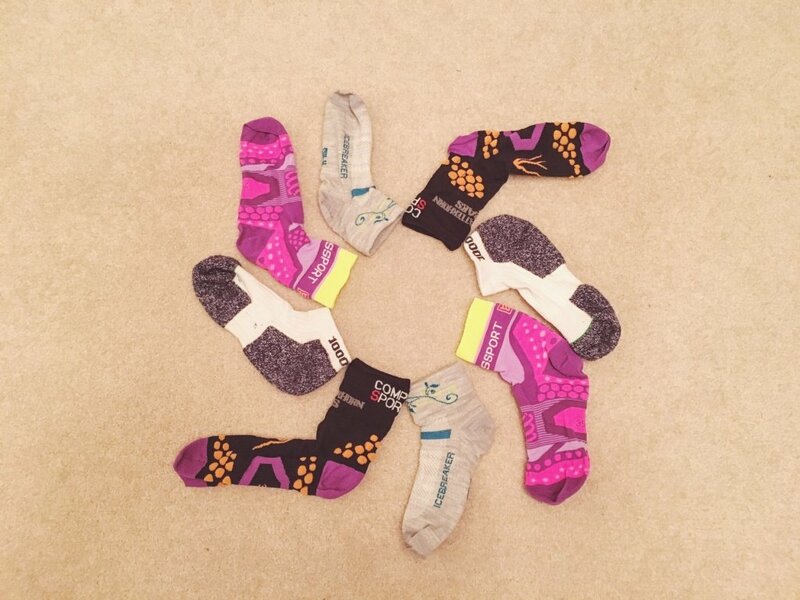 Brands we have tried and love for socks include Balega (enduro or ultra-lite styles), Stance, Compressport and X-Bionics so one of these may be worth a try. I also find that I need to wear different thickness socks depending on the running shoe I am wearing. Some shoes fit very snugly (like the Salomon S-Lab Sense Ultra 3) so I wear very thin, ultra-light socks with them. Other shoes, such as the Inov-8 Roclite 290s and Salomon S-Lab Wings 7 come up a bit larger and I can wear what I’d call ‘normal’ thickness trail running socks, like Balega Enduro or Stance. 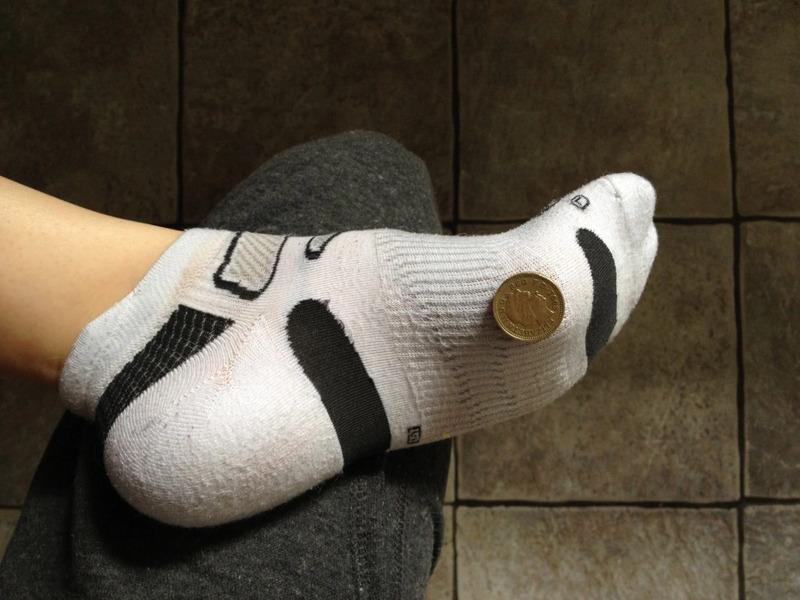 Do you tend to accumulate bits of debris in your sock or shoe? Ah, an occupational hazard of trail running! While ‘trainer-liner’ low profile socks look cool, I prefer socks that come up at least to my ankle bone, to stop me flicking bits of mud, stones and twigs into my socks. I still get them come into my shoes from time to time, but it’s a lot easier to quickly stop and empty your shoe out, than also having to take your sweaty sock off, turn it inside out and pick the bits off the sock and your foot. If you have bits of debris in your sock or shoe, then over time, this could be what ends up causing nasty blisters or sore spots. You could also consider wearing trainer gaiters (which go over the top of the shoe, fit snugly around the ankle and stop bits getting in) although we don’t bother for our normal trail or mountain running. If we were to go somewhere really sandy, though, then I would definitely consider them – as you know once you have sand in your shoes/socks, it’s very difficult to get it all out. Do your feet sweat a lot? Not a problem I have, but I know a lot of people do. If so, make sure your shoes are as lightweight and breathable as possible. Avoid gore-tex or waterproof running shoes, as these tend to be less breathable than non-waterproof shoes, and so mean that once the inside gets wet, it stays wet/damp for longer – wet skin is not happy skin, and much more prone to blisters. Are your blisters caused by gait, not shoes (or socks)? Don’t let blisters ruin your runs! 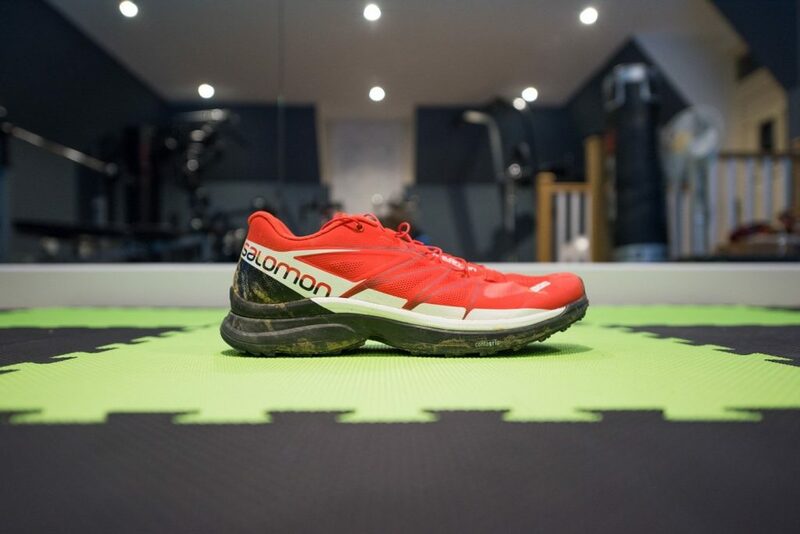 Hopefully this article has helped you work out the possible reason for why you are getting them, and will help you fix the problem – whether it’s a quick-fix like a nice new pair of socks, or a longer term course of physio to help improve your body’s running gait and form.